Can I just go on record as saying that this betch needs to stop copying me? 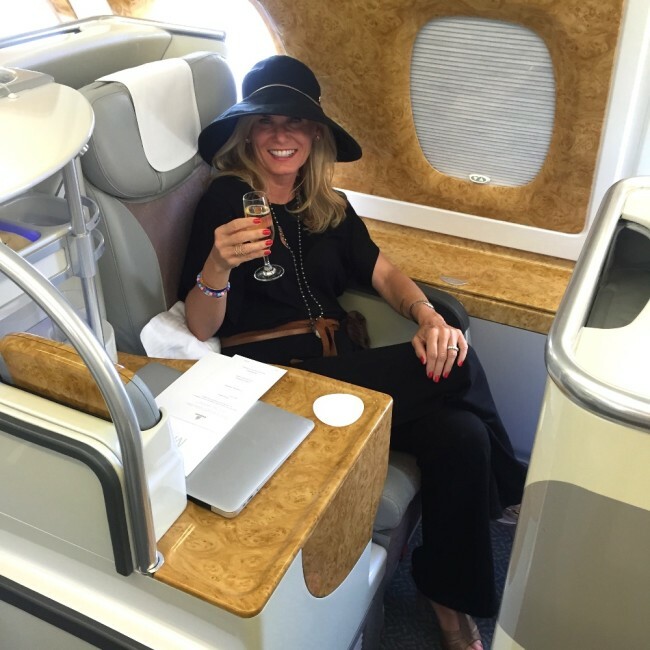 The new YouTube of Jennifer Aniston on Emirates has gone viral. 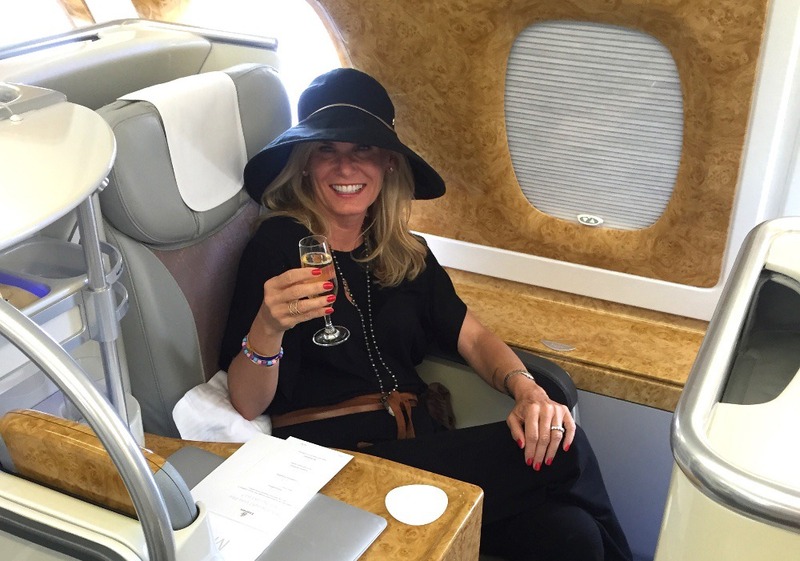 Um, she hates flying coach on Delta…she’s living the dream on Emirates…has long blonde hair….it’s totally obvious she’s been reading my blog. What next Jen…shoe pics and day drinking? First of all, she has NO idea what it’s really like to slum it in Delta coach with nothing but peanuts and dirty looks to sustain her for a long flight. And now she’s pimping Emirates, get your own gig Jen, I was here first. Ok, so I didn’t get to use the shower, because that was for first class and I was in Business (apparently even lurking around trying to just see the shower is frowned up, or so I’ve heard). But seriously betch I know you totally got the idea for this campaign from my Instagram. Oh, you say you don’t follow me and you got paid millions for this and all I got was some free champagne? I’m pretty sure we both know the truth here – Rachel. First you read my Greenwich Magazine piece about the best airlines in the air, then you saw how horribly Delta treats me and voila, you are trying to pretend this was all your idea. Me hitting the champagne bar when I couldn’t sleep-because that’s what one does when offered a fully flat bed and unlimited Veuve. 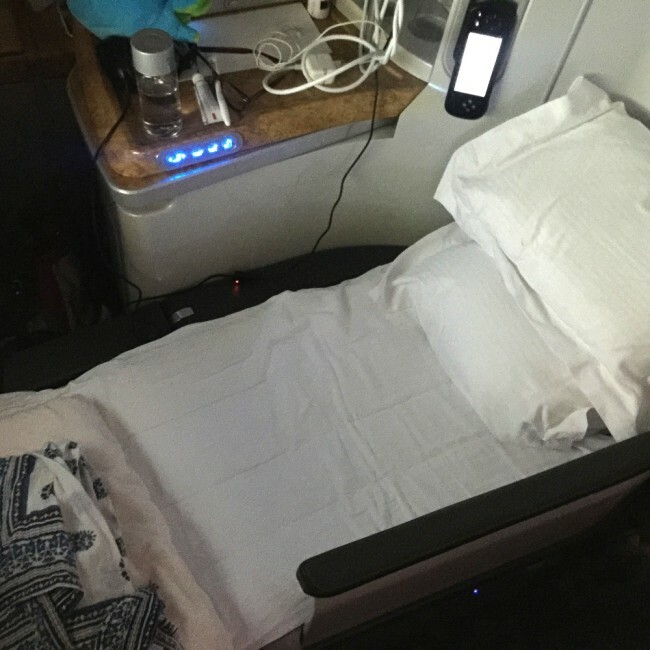 My fully flat bed, that comes with tons of electrical outlets for my phone, iPad, etc. When you want to sleep they actually bring you a mattress. You read that right, a freaking damn mattress. When was the last time you even got a blanket on Delta?? Oh Rachel, I mean Jen, seriously right? Oh you don’t know that because you don’t fly coach? Well it’s true, and if you get a blanket you know it comes with a side order of MERSA. 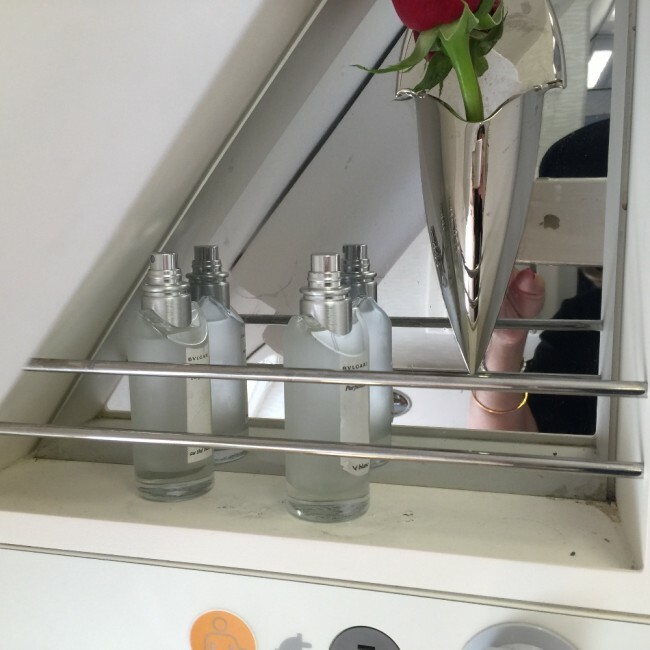 While I didn’t get to use the first class shower (and I suspect that Jen didn’t either) they do have full size Bulgari perfumes IN THE LAV. And people are so fancy on Emirates, they don’t even steal them. It’s the White Tea scent which for those of you who are obsessed with hotel amenities used to be at most of the Ritz Carlton’s, now I can only find it at Shangri-La in Paris, and the BATHROOM on Emirates. I am pretty sure everyone within smelling distance on the flight appreciated my hourly perfume showers. 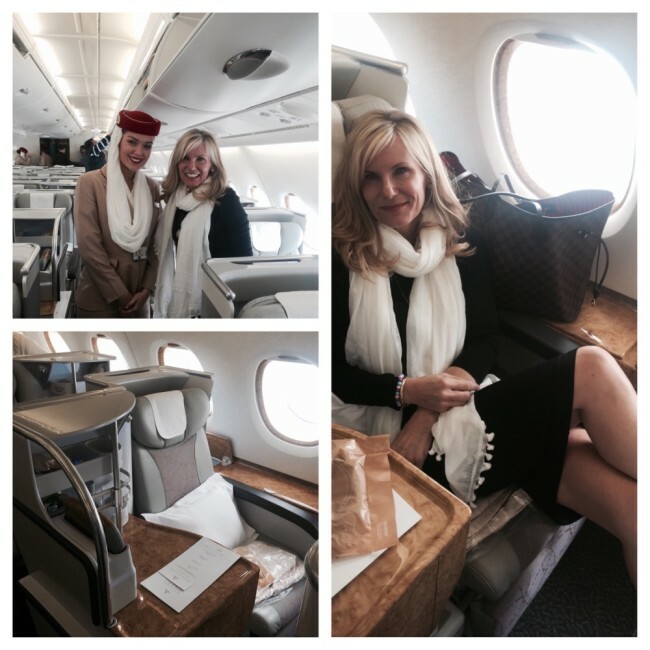 Other things Jen didn’t tell you about Emirates since she was so damn busy wandering the aisles in her robe. And to be clear, she would end up on that passenger shaming website if she did that in real life. ALSO, if you fall asleep sometimes they run out of peanuts, true story. 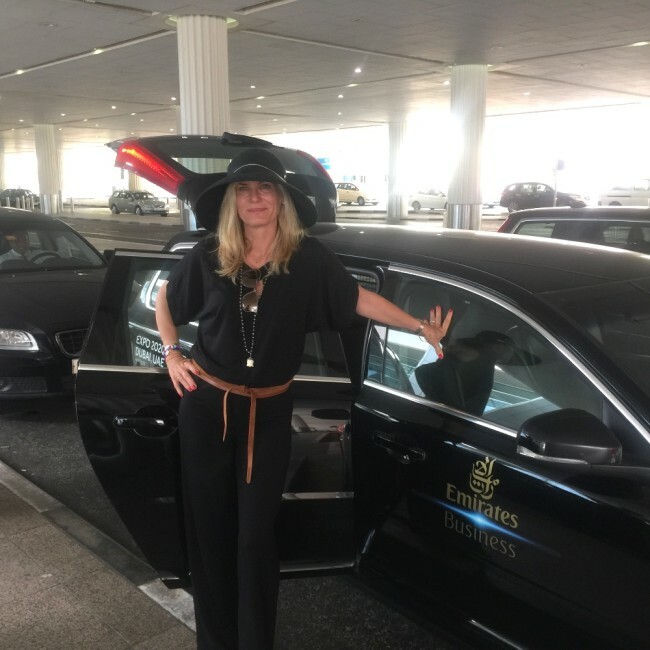 First and Business Class passengers get limo service to and from the airport included in the price of their ticket. 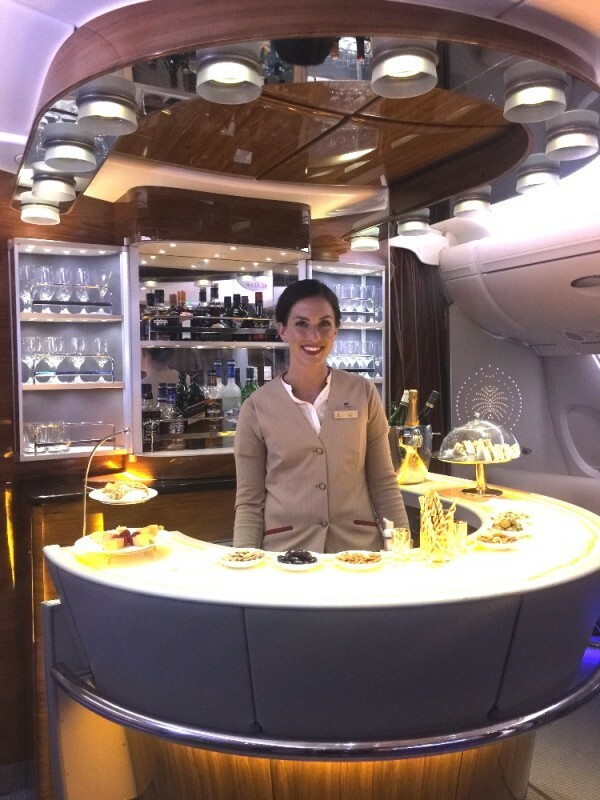 Some of the crazy onboard amenities include never ending champagne, hot food that is out at the cocktail bar throughout the flight. So when you wake up from your bad Delta dream you can grab a yummy sandwich, more champagne (obvi), spritz yourself with Bulgari and go back to sleep on your MATTRESS. The entertainment system offers a gazillion movies, the Arab soap operas are my favorite, and you can watch the plane take off and land via plane cam. And seriously, the nicest flight attendants you will ever meet. No one yelled at me to jam my bag further up under my seat or mocked me with her eyes for requesting the “whole can”. It’s true, the other half does live better. 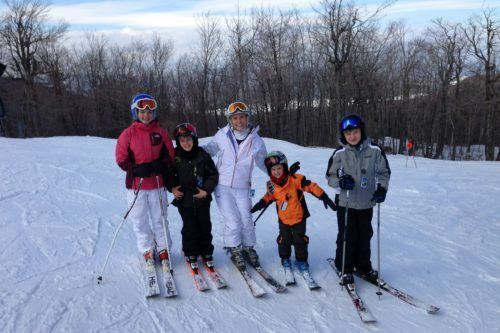 I wonder if Jen got unlimited Emirates flights in her deal? She should totally be sharing them with me. Want to know more about what to do and see in Dubai? Check out the video campaign I did with Yahoo Dubai. 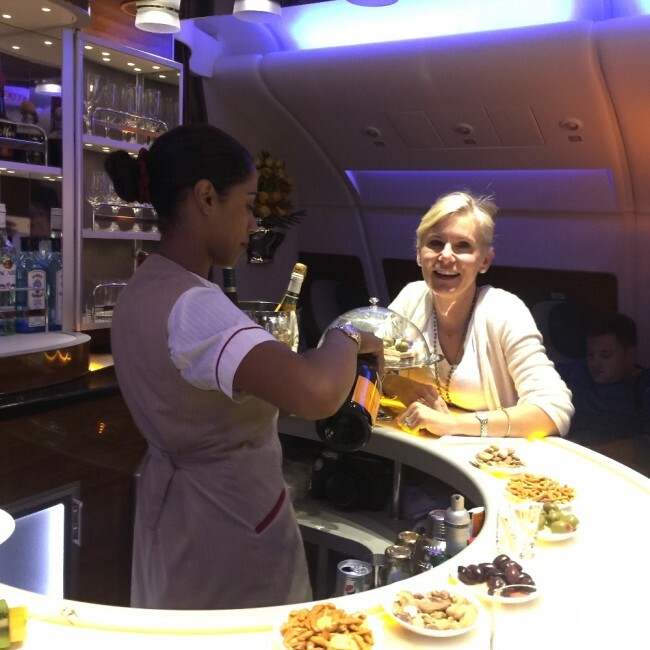 I flew Emirates as their guest for a campaign with Yahoo Dubai last spring and then my flight to Dubai as part of a Maldives story was covered by a PR firm. However, if and when I take Mr LTM to Dubai, the cost of Business Class is totally worth it.